They are the key to your office move by Bekins of South Florida. Our personnel are trained, experienced, and overall high quality professionals. In fact they are AMSA Certified Office and Industrial Consultants (COIC). Many of them work in specialized teams and handle your move with the kind of efficiency that comes from working together on many jobs where the same skills and techniques are needed. 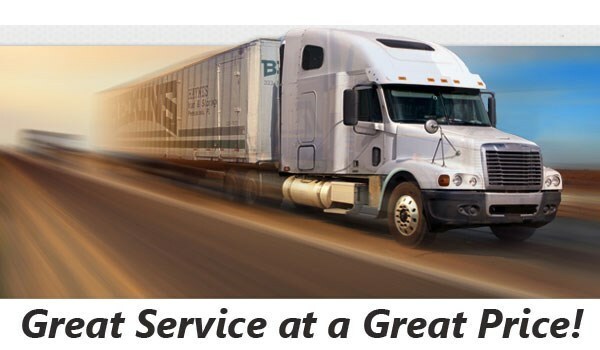 We firmly believe our employees are the best moving people in the business. You'll find pride-in-workmanship is alive and well at Bekins of South Florida. We take care of all the things you shouldn't have to learn the hard way. One of our move coordinators will walk your current office and destination to create the best moving plan for you. That way we start with a professionally prepared plan. This pre-planning saves time - and in the end that means money. The tools go all the way from simple hand equipment and heavy duty dollies to grip hoists, sage jacks, stair climbers, conveyors. We have access to forklifts and sky cranes as well. We will always acquire whatever it takes to move your business expertly and economically. We've also got just about every type of truck possible to move your company's equipment to the new destination quickly and safely. Put us to work - we always welcome a challenge! We have 40 years of experience in the office and industrial relocation industry. Nobody in South Florida can move your company the way we can. We are a MedAssets® contracted supplier that provides medical equipment and office moving services for hospitals and healthcare facilities. Our teams have successfully moved thousands of rooms for local hotels and resorts so we certainly know what it takes to handle your FF&E request. Our 24 hour intrusion, smoke, and fire alarms will ensure your official documents are always safe and secure. Custom storage plans are available. We have the capability to handle everything from corporate document destruction services to small personal shredding. Onsite, scheduled, professional. Fast to load, fast to unpack, less expensive - the list of benefits for using crates goes on and on. Click the link to learn more about our Bekins Green Crates. When we say we are the best moving and storage company in South Florida we aren't just talking-the-talk. We have dozens of bonafide references right here. In addition to our full-service pickup and delivery services, our state-of-the-art security system and climate controlled environment let you know we mean business when it comes to being the best. Are you ready for a free commercial moving quote? Call us at (888) 213-6539 or fill out our simple online form and a Bekins of South Florida representative will assist you immediately. We look forward to hearing from you - contact us now! "I wanted to share that your moving team under the supervision of Mr. Carlos Costa did a phenomenal job with our move on 4/27/15. I did not get all their names, however, please know that they arrived early, were extremely cordial and conducted the move efficiently and with tremendous care and consideration of our items and our needs. As you know, moves can be stressful and your team took away any concerns we had. Please know that your company, it’s processes and, in particular, this set of employees are commendable. While we hope to be situated in our new office spaces for years to come, we will certainly recommend your company on to others who need moving services. My very best to you and your team and again many, many thanks for your support!" Raquel F and Jonathan C.